And the winner for the Shirley J Beef Slow Cooker Seasoning is…….. 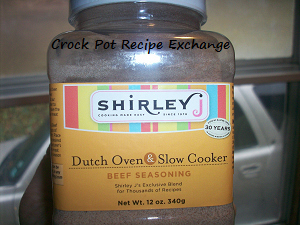 I can not brag enough on the ease of the Shirley J Beef Slow Cooker Seasoning. It was just so perfect. It created the perfect gravy with the perfect seasoning. The meat was perfectly tender too. 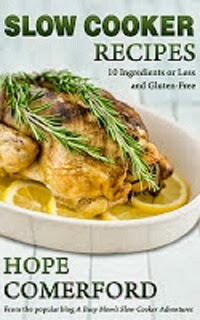 I can’t wait to use it in a crock pot beef stew recipe (so keep your eyes open for that recipe)! Shar who said:using red wine as the liquid would be delish! I agree Shar…. red wine in place of the water called for per the Shirley J Beef Slow Cooker Seasoning instructions would be fabulously delicious! You hae 48 hours to email me your full name, address and phone number to Ginger@CrockPotRecipeExchange.comto claim your prize.